The home of Melbourne's local sport radio! Watch some of our video interviews from our weekly "SMASH SPORTS SHOW" right now by clicking right HERE. 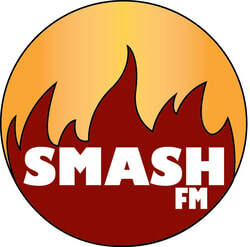 AMBASSADOR PAGE: Check out who are our Smash FM ambassadors for 2019 by clicking here! AMBASSADOR BLOGS: Check out the latest edition of our Smash FM Ambassadors blog today. See what they had to say here! AMBASSADOR PROFILES: Check out our Smash FM Ambassadors profile as we speak to them about their love for the sport. See what they had to say here! Just a little way of "Looking After You"